For salons and spas, service payroll will always be your “elephant in the living room” cost of doing business. The big question is … how do you control it? If you pay commission on service and retail sales (sliding scale, levels, etc.) or a fixed rate per service … your options are to reduce commission rates, implement product cost deductions, or, lower commission rates through attrition. If you’re an owner working behind the chair or in a treatment room producing high revenues, ask yourself this question … Would your income be higher if you were an employee in your business and not the owner? If you answered “yes” … you are working seriously hard to offset the commission rates your business cannot afford to pay. Stop struggling with a pay program you can’t afford. 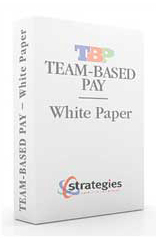 Download the Team-Based Pay White Paper for a better way.